Some recruiters already leverage mobile recruiting strategies to provide a seamless candidate experience—do you? If this is something you haven’t ventured into yet, read on to find out why mobile recruiting should be your top priority. Mobile recruiting is the process of attracting, engaging and recruiting job candidates through the use of a mobile device such as a phone or tablet. This type of recruitment lets candidates search for and apply to jobs with the device of their choice. With a modern mobile staffing and recruiting software, recruiters can conveniently reach candidates wherever they are. Why is Mobile Recruiting Important? Mobile recruiting needs to be part of your recruiting strategy in order to remain afloat in the industry. Millennials are the largest generation in both the U.S and Canadian workforce, and the way they communicate and search for work differs from previous generations. According to a study by BTX, five out of ten millennials in the U.S check their phone over 50 times a day. Since it’s normal for this generation to work outside of the traditional work setting and business hours, they rely heavily on their smartphones to stay connected and conduct business. Generation Z is another group of candidates that can’t be ignored as they’re beginning to enter the workforce. 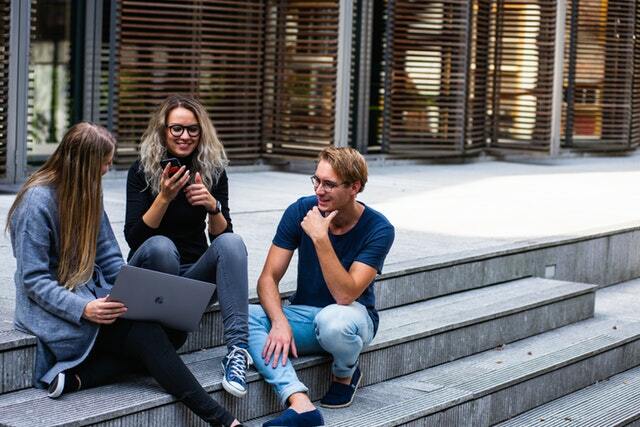 This generation was born into a world of smartphones and apps, and they rely on them to connect with other young professionals and to find information. Since it’s crystal clear that new and upcoming talent communicate and conduct business on their phones regularly, it’d be wise to start weaving mobile recruiting strategies in now. Communicate with your candidates in the ways they want to hear from you using a mobile staffing and recruiting software like Mindscope. By sending and receiving texts with your applicant tracking software, you’ll save ample time that would otherwise be spent jumping between devices. Most importantly, all of the text messages you send and receive will be automatically tracked in the database, so you never lose important information. With Mindscope, you can also have your text messages flow straight to your work email so that you can rapidly send replies without missing a beat. Keep your texts short and sweet to ensure you get a response back. Send candidates updates on their job applications, remind them about scheduled interviews or mention opportunities you think they’ll be interested in. We all know how frustrating it is to fill out a long and clunky job application form on a phone. According to surveys, 20% of job seekers will stop filling out a job application if they can’t complete it on a mobile device. To avoid irritating your candidates, remove any redundant questions and fields. As another time-saver, allow candidates to apply to jobs with their Linkedin profiles or auto-filled resume details. Having an attractive careers page on your website that contains the latest job openings and easy-to-fill job forms is vital. Here at Mindcsope, we offer our users custom-built web integrations that are mobile-friendly. This means you can be confident that you’ll provide candidates a user-friendly careers page and job application form that works efficiently on all devices. According to CareerBuilder, seventy percent of employers use social media to research job candidates as part of their hiring process. Considering the fact that so many employers and recruiters hang out on social media, it’s a good place to extend the reach of job posts. With your staffing and recruiting software, share your job postings on social media to reach a wider net of potential candidates. Don’t stop there—keep promoting the job and mention key information such as the job’s responsibilities, salary, perks and benefits. Since you’ll be in contact with candidates from generations Y and Z, be sure to keep your social feeds full of useful and interesting content. Just like you will screen candidates by going through their social media profile, these candidates are very likely to do the same for you. Recruiting is a profession that’s constantly changing, and it’s your job to stay on top of the industry’s best practices. Mobile recruiting is certainly not a trend that will fade away; if anything, it’s only going to become more important moving forward. Want to learn more about how you can source and connect with candidates with a mobile staffing and recruiting software? Get in touch with us today.